This semi dry pepper chicken masala from chettinad cuisine is a great treat for spice lovers. I learnt this recipe from a chef who is specialized in chettinad cuisine. 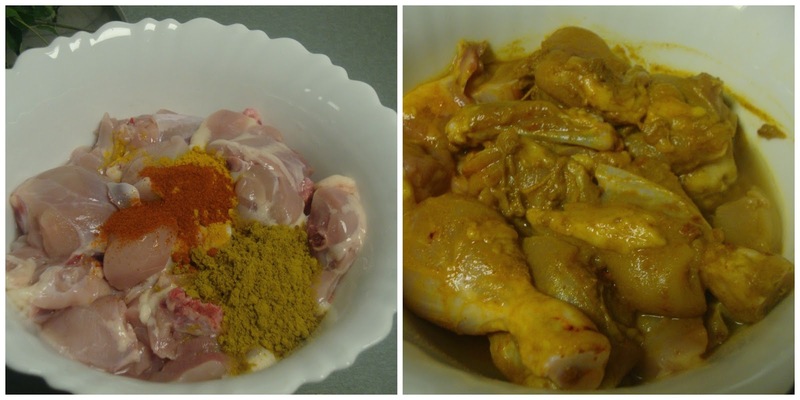 Marinate the chicken with turmeric powder, red chilli powder and coriander powder; keep aside. Dry roast and grind the pepper, cumin seeds and saunf to a coarse powder; keep aside. Heat oil in a kadai; add all the ingredients under “To Temper”. After it crackles, add the onions. Saute till the colour changes and then add ginger, garlic paste, tomato and Salt. Saute till tomato becomes soft. Fry till the tomato melts. Now add the marinated chicken and mix well . Close the lid and allow to cook till the chicken is done (no need to add water as chicken leaves enough water to cook). If you find it dry add ½ - 1 cup of hot water. Once the chicken becomes soft and the mixture becomes thick in consistency, add the “dry roasted powder” and mix well. Adjust the water quantity and spice level according to your taste. If you want to make dry version reduce the onion and tomato quantity. Tried this recipe and turned out well... Thanks. Thank you sindhu. I felt happy that it turned out well.